Two weekends ago, J and I went to Sacramento to take advantage of the President’s Day holiday. We chose Sacramento because it is close enough to ride the train to, but far enough that we wouldn’t go on a normal weekend. It’s also the state capital. J and I took Amtrak‘s Capitol Corridor line from San Jose to Sacramento. The ride took about 3 hours, which compares very favorably to driving. It cost $40 per person one way. 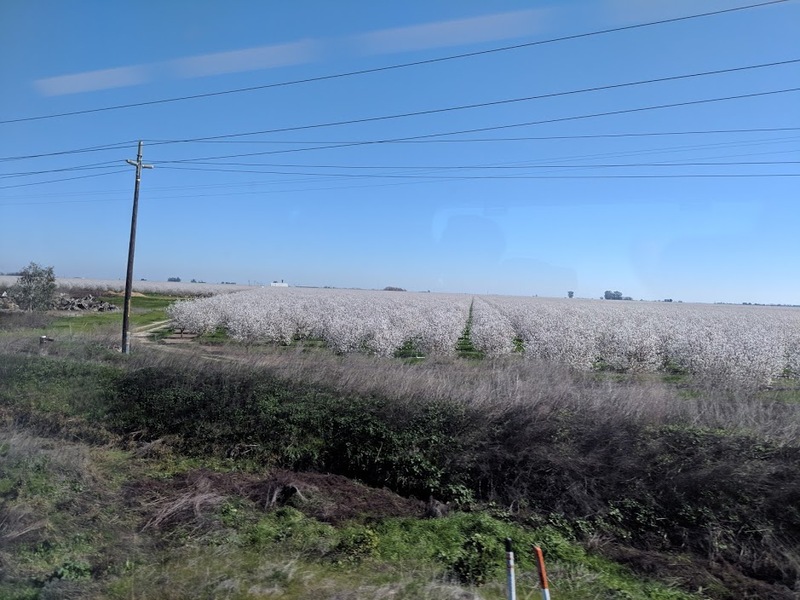 Flowering pear (so said another train passenger) trees as seen from the train. 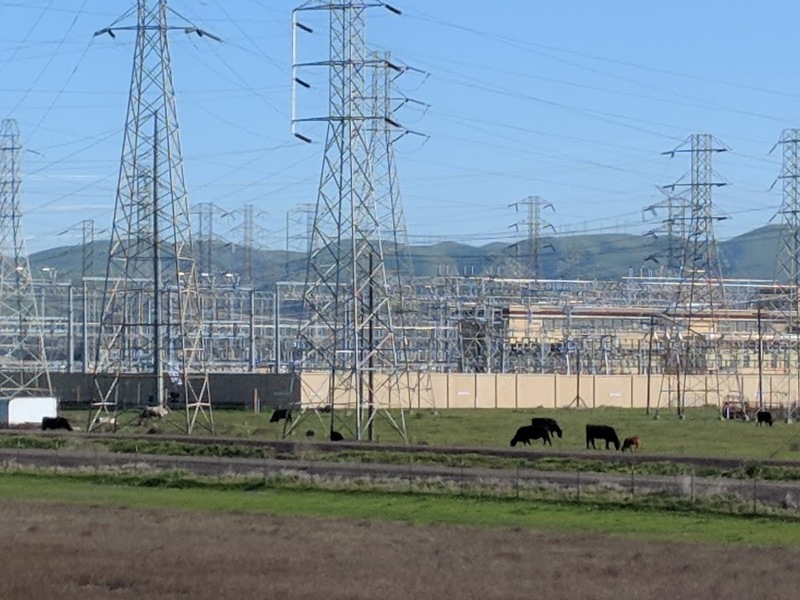 Cows as seen from the train. I’m sure they love that 60 Hz buzz. We stayed at a Hostelling International hostel (J’s first time in a hostel!) just a 10-minute walk from the train station. 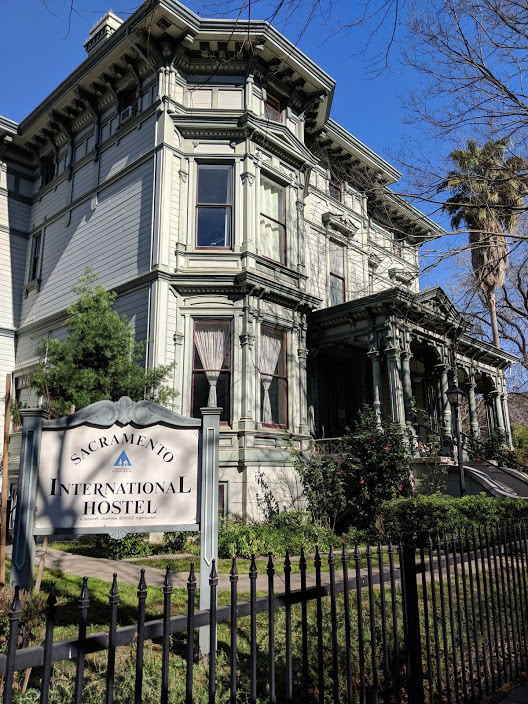 The hostel is housed in the repurposed Llewellyn Williams Mansion. A classic and very spacious example of Victorian Italianate architecture. We stayed on the third floor. I’ll make more posts on what we did in Sacramento. Next PostNext Finished with grad school apps!